If you were to ask, most teachers would agree improving reading comprehension is about teaching students how to think while reading. Granted, reading comprehension likely isn’t one of the courses that you’re teaching. That said, perhaps it should be a sub-course within all the courses that you do teach. In fact, students who can heighten these skills with your help might be better prepared for college than those who earn As in content courses. If you’re a Social Studies teacher, you can teach your learners important historical facts. As an English teacher, you can teach them about the world’s great authors and the books they wrote. Even in Science you can explore the world’s most important scientific theories with them and why they’re relevant. Ultimately, though, to teach your learners to analyze historical events, English literature, and scientific and math concepts, you must teach them how to read better. If successful, they will be far better prepared for courses in content areas they are unfamiliar with like those they will take in college. For example, a student with excellent reading comprehension skills but no background in Economics might be better prepared for a college Economics course than a student with average reading comprehension skills who has aced high school Economics courses. How do you start improving reading comprehension with your math, science, history, or English learners? The first thing is that you should not do what so many teachers do, which is tell your students to read about a topic they are unfamiliar with. “Read Chapter 1 over the weekend” or “read pages 50 through 60 tonight” is not an effective way to begin teaching about a topic. What did you do when your teachers gave you that kind of instruction? Did you just read every word in the assignment? Try to memorize what you thought were key facts? Did you look at the textbook’s practice tests and try to answer the questions related to the assignment? Chances are you didn't, and yet this is exactly (and unrealistically) what we expect of our own learners. The truth is your learners need practical guidance before they read. In that spirit, here is a step-by-step guide that can help your students improve their reading comprehension significantly. Writing a one-page handout detailing your ideas about reading comprehension and why it’s important can be helpful. You can include your ideas about subjects such as taking notes, setting goals, and asking questions. Additionally, connect the importance of improving reading comprehension to something practical and relevant to them like texting, emails, and blogs. Share these written thoughts with your learners and use the handout as a reminder throughout the school year. Telling students that improving reading comprehension is crucial and then giving them tests that emphasize rote memorization is backward reasoning. Instead, give them essay tests and ask them to write reports. Your students might not be used to what appears to be subjective grading, but it’s your responsibility to detail what you’re looking for in their written answers and reports and explain that you’re preparing them for college. Prior to each reading assignment, you should tell students what you want them to learn from the text. Ask them a few questions and tell them you want to discuss the answers in the next class. They should also write down your questions and use them in group discussions of their own. Students should read your questions and/or the book’s questions before they begin reading. This should help them know when to focus on text and when to skim it. In other words, thinking before reading can help them be selective instead of trying to comprehend every sentence. The questions can also help them formulate their own questions before they begin reading. Perhaps the most important tip you can give learners about how to read is that their reading comprehension is most likely to improve when they stop reading. Students should be thinking while they’re reading rather than reading continuously. Thus, they should be taught to stop when they are confused or have a question or thought about what they have just read. Teaching students to stop and think might lead them to reread what they have just read or seek the answers to their questions in the material that they haven’t read yet. It's likely most of your high school classmates did not take notes while they did their schoolwork. In college, though, everyone took notes in their textbooks. Your students should know that college students regularly highlight important material via underlining, circles, and notes in margins. They can take notes too, in notebooks rather than textbooks. Students should be encouraged to stop reading after they have read something important and write down that fact, point, or argument. They should also be writing the answers to your pre-reading assignment questions. Reading doesn’t accomplish much in and of itself. Reading assignments should be connected to future class discussions, oral presentations, tests, or reports. Thus, you should urge students to stop reading when they think of a point they want to make for a class discussion, oral presentation, test, or report. They should write down their points. Emphasize that they can prepare for a test while reading. There is nothing wrong with giving students an idea about questions on tests. You want them to practice improving their skills so they’re ready when they’re being graded. 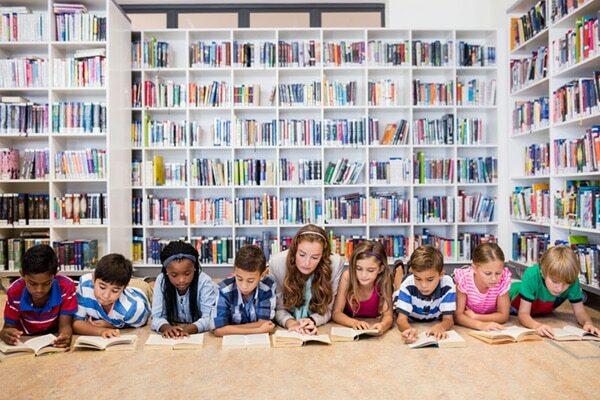 “Some good readers may also create mental images, or visualize a setting, event, or character to help them understand a passage in a text,” the Texas Education Agency wrote. Are students more apt to recall what happened at the Yalta Conference if they can visualize U.S. leader Franklin D. Roosevelt, United Kingdom leader Winston Churchill, and Soviet Union leader Joseph Stalin talking about what to do after World War II ended? Some will. It’s a good idea to mention to students, who could also learn better by studying the text’s photos and captions. Asking students to write summaries of what they have read sounds like you're requiring them to do a lot of work , but you can emphasize that these summaries can reduce how much time they spend studying, or cramming, for a test. Essentially, these summaries can be homework. They can also help students prepare for class discussions and oral presentations. Many of these tips can be summarized in one word—practice. Yes, students can succeed at improving reading comprehension skills by practicing how to ask and answer questions while they’re reading, taking notes, setting goals, writing summaries of what they have read and more. Be honest with them about the fact that improving reading comprehension skills is a lot of hard work. Nevertheless, it’s worth it if they want to possess a useful skill for school and for life beyond it.